Has many lakes, rivers, and streams. Ashley National Forest: established 1908 by President Theodore Roosevelt. It has an area of 2,160 sqaure miles. Ute and Ouray Indian Reservation: second-largest Indian reservation in the US with an area of 6,796 square miles. Kings Peak is the highest peak in the state at an elevation of 13,528. It is located in the north-central Duchesne County in the Uinta mountains. Flaming Gorge Reservoir spans the Utah-Wyoming border. 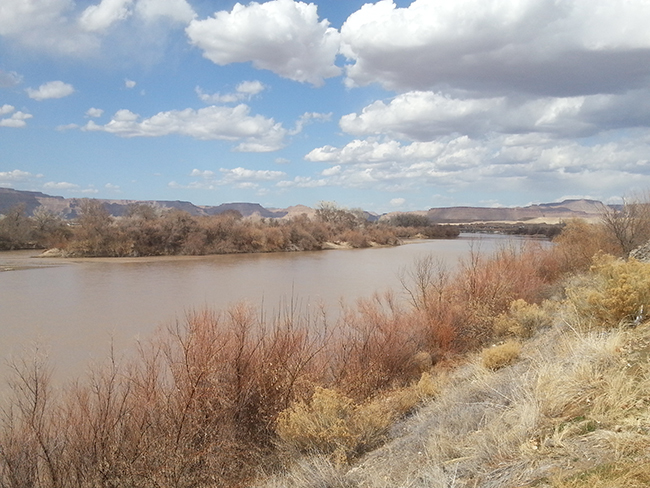 Created in 1964, the reservoir dams the Green River and has a storage capacity of 3,788,900 acre feet of water. It has a surface area of 65.66 square miles. Lake trout, Burbot, Rainbow trout, Brown trout, Cutthroat trout, Smallmouth bass, Sockeye salmon, carp, and Cutbow are some of the fish that are found in the reservoir. The Flaming Gorge National Recreation Area is a popular place for camping, hiking, boating, and fishing. The Green River begins in the Wind River Range in Wyoming and flows a distance of 730 miles where is empties into the Colorado River in Canyonlands National Park. It is a popluar river for fishing and for rafting.